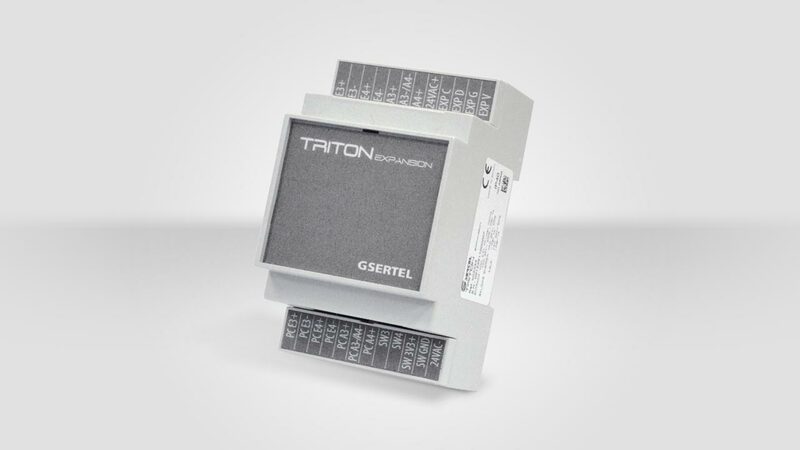 TRITON BRAIN is an universal control module for remote management of supply pedestals. 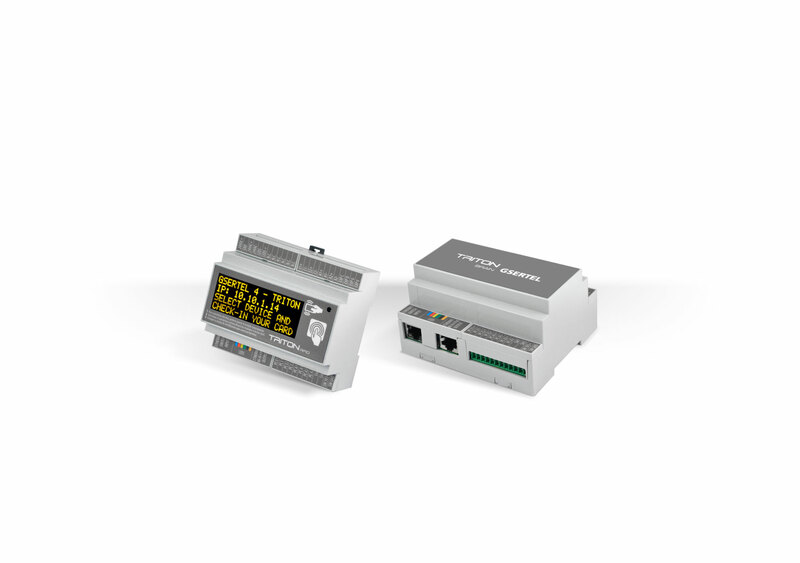 Manufactured in standard 6DIN form factor enables its integration in supply pedestals from any manufacturer, providing them with the most innovative market control. It is destined to provide harbour and marina pedestals from any manufacturer with remote control and monitoring of electricity and water consumptions. BRAIN RFID, with integrated interface, OLED display, RFID reader, and touch button. 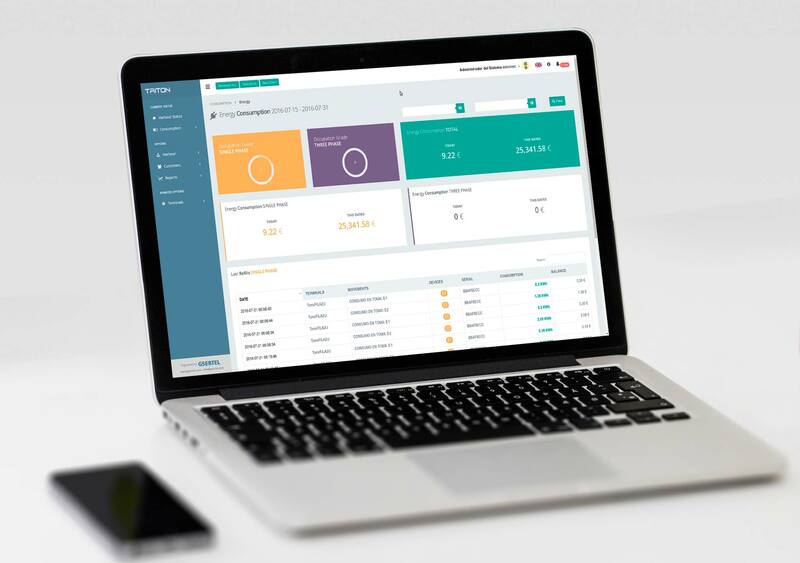 It allows to control the supplies using both the module and the TRITON App. BRAIN, without interface. To be used only with TRITON APP, or telemetry without ON/OFF control. It allows full control, remote consumption reading and device activation / deactivation of 2 electrical sockets and 2 water outlets. 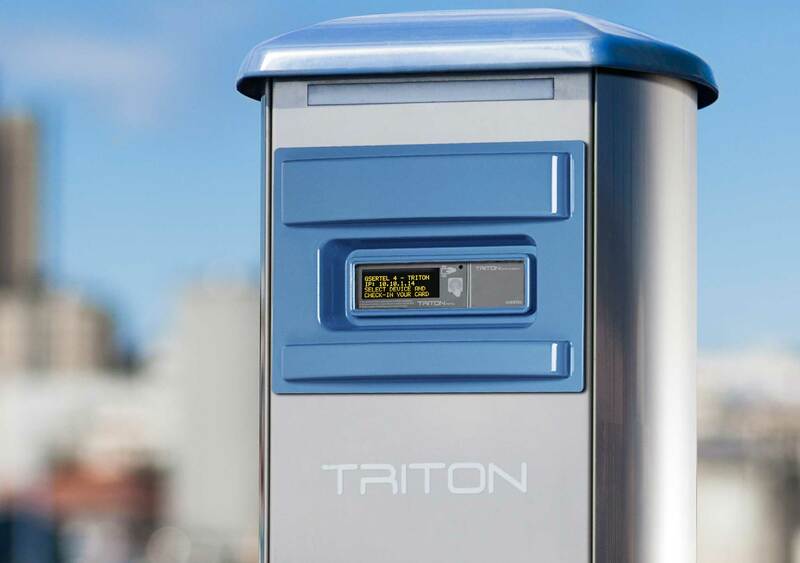 With the optional module TRITON EXPANSION (3DIN format), you can double the capacity of management up to 4 electrical sockets and 4 water sockets. 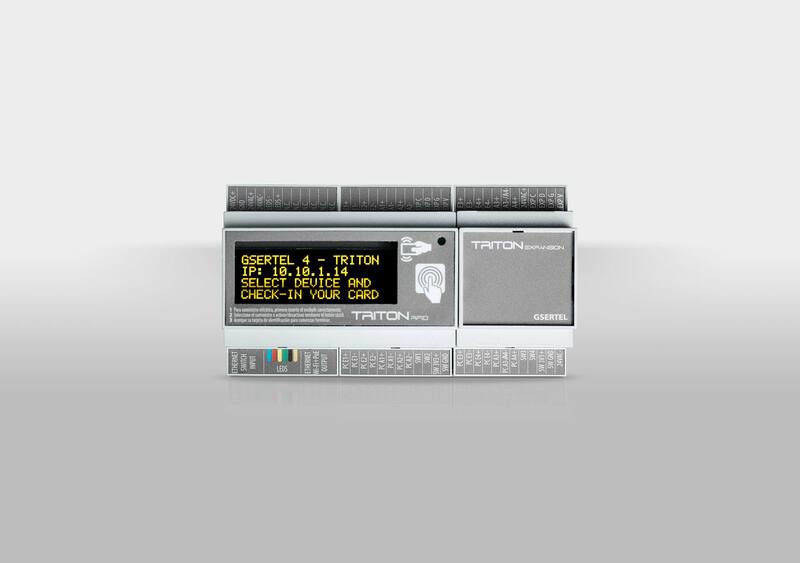 TRITON BRAIN accesses the TRITON SGSP remote management and control server. 6-DIN form factor box made of polycarbonate. Dimensions (LxWxH): 106x90x58mm Weight: 0,1Kg. 2x pulse counting inputs (S0+, S0-). ESD protection on all input lines. 2x contactor activation outputs (24VAC or 24VDC). Optical isolation on all outputs. Optional: 2x inputs for electricity anti-theft system. Integrated Ethernet switch for daisy chain connection. Option: Wi-Fi for wireless connection, with integrated PoE. Lighting DC output: 12V/24V, 12W. DC output for TRITON EXPANSION module: 3V3. 2x electrovalve activation outputs (24VAC or 24VDC). Integrated LED lighting output (12VDC or 24VDC, Max. 12W). Modes: manual, scheduled or automatic (NTP). High contrast OLED display of 4x20 characters indicating free/busy sockets, plug detection, users present in the system, consumptions, remaining balances and guided information (only in Advance and Premium versions). Touch sensor for selecting the supply to enable/disable (only in Advance and Premium versions). RFID reader for identification of users in the system using RFID card. Optional: Remote identification and activation via Smartphone or Tablet (Premium version only). 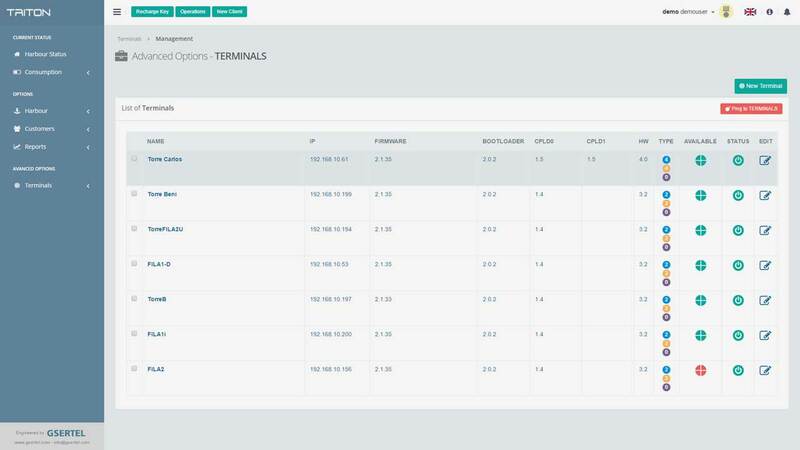 Screen for configuration of supply pedestals information. Compact size with electronic control integration and a powerful user interface. Improved endurance with no mechanical parts and easier manteinance. Automatic reconnection after a brownout occurs, keeping open devices, users in system and balances. Wired or wireless Ethernet communication. Automatic remote firmware update (FOTA). Prevents electricity thefts with detection of plug disconnection, automatic electric deactivation and user expulsion. Number of I/O expandable by TRITON EXPANSION module. Compact system for integration in pedestals of any manufacturer. It converts any pedestal in an intelligent and manageable pedestal. Port, yachting club or camping revenue increase. Unattended management of the of marine supplies installation. Cost savings through self-consumption by users.